The beautiful and tranquil KwaZulu-Natal National Botanical Garden (Garden of Choice) specialises in the conservation of plants from the eastern region of South Africa and of rare and endangered species from elsewhere. Established in 1874, the Garden’s Victorian past is evident in its magnificent specimens of northern hemisphere plants, such as the swamp cypress, tulip trees, camphor trees, plane trees, giant figs and magnolias. One of the finest features of the Garden is the avenue of London plane trees, which has been stunning visitors since 1908. The focus of the Garden is to collect, display and promote the conservation of plants of the eastern grasslands, in particular the genera Clivia, Gerbera, Kniphofia and Watsonia. A section of the Garden is planted specifically to attract birds which, along with other diverse habitats, makes the Garden rich in bird life, with over 150 species recorded. A special feature is the fascinating Useful Plants Garden, displaying plants used culturally by the Zulu people for medicine, craft, food and other uses. The KZN National Botanical Gardens is well known for offering the best views for bird watchers on the hiking trails, beautiful areas for picnic’s, wedding ceremonies and receptions, music concerts and other functions! It also offers great educational and inspirational tours etc. 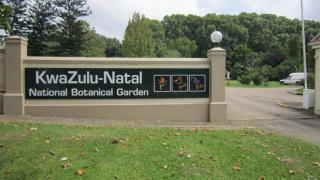 There is an Indigenous Nursery adjacent to the Garden and also the Ilawu Strelitzia Room Restaurant.